A common prescription for ADHD is a stimulant medication. You’ve probably heard the brand names Adderal and Ritalin. Problem is, stimulants like these make kids who take them 7 times more likely to die suddenly. What we found — to our surprise — is that even if you take out confounding factors, the association between stimulant use and sudden death was still significant. Researchers want to assure parents that the risk is still rare and the drugs are “probably” still safe. 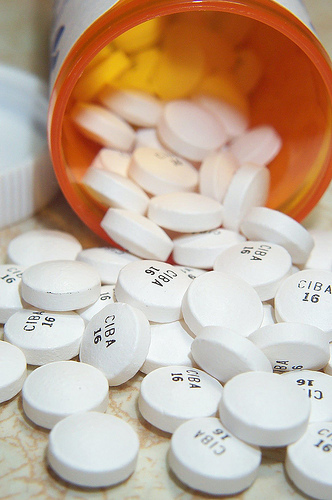 And for some families, these drugs have been the only saving grace when it comes to ADHD. A lot of kids have come to rely on these drugs–as many as 2.5 million. In the ’90s, sudden death began to be reported with these drugs. In 2006, the FDA (ever proactive!) required that the labeling add precautions for children with cardiac disorders and that physicians look closely at the family medical history of prospective users. The lead researcher was Madelyn Gould, a professor of clinical epidemiology in psychiatry at Columbia University/New York State Psychiatric Institute in New York City. She approached the FDA to review odd death reports. They looked at data from 1985 through 1996, and found 564 cases of sudden death that occurred in children aged 7 to 19, and they compared them to 564 youths who had been killed as passengers in automobile accidents. After ruling out factors such as a history of known cardiac problems; known causes of death, such as asthma or an accidental death; and other conditions, such as sickle cell anemia or cerebral palsy, they found 10 sudden, unexplained deaths in children taking stimulant medications. So they compared them to age-matched controls who had died in car crashes. And they found that the odds of sudden death were 7.4 times higher for children taking stimulant medications. Stimulants do increase blood pressure, and there have been reports of them changing heart rates. It rings a bell for everyone to be more attentive and less cavalier about the use of these drugs. I would hope that no parent is “cavalier” about putting a child on drugs. My 8 yr old daughter is on low doses of Metadate and Strattera for ADHD. We’ve experimented with all kinds of meds ever since she was diagnosed at age 6. It is very frustrating and we agonized over the decision. The hour in the morning before it kicks in is sheer hell. Any day we forget to give it to her, her teacher calls us by 9:30am asking what the hell is wrong with her. She is completely off the hook and the entire class is disrupted by her behavior. I hope she grows out of the ADHD and doesn’t need meds for life. Some kids mellow out at adolescence. I, too, hope she fares better with time.